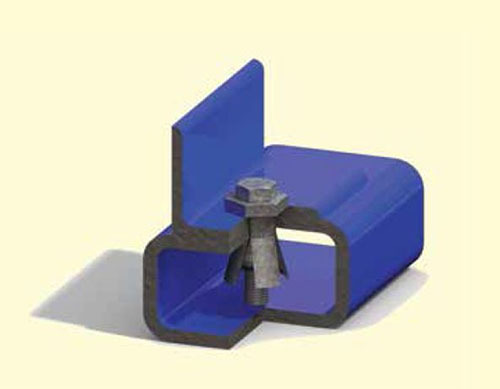 The clamping range of the BoxBolt® connector is the combined thickness of the steel being connected and the steelwork being connected to. Each diameter of the BoxBolt® connector has three overlapping lengths designed to accommodate a wide range of material thicknesses. 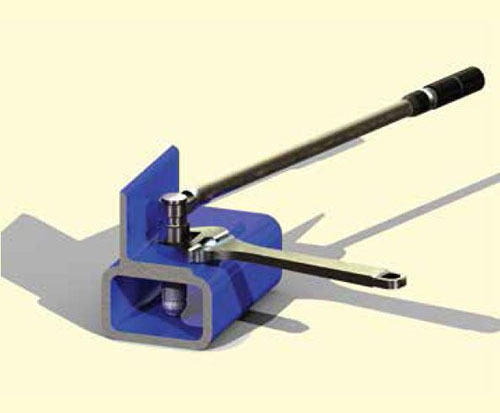 If your clamping range exceeds those stated above, special lengths are available. It is important that the correct hole size is drilled to accommodate the body of the BoxBolt® connector. 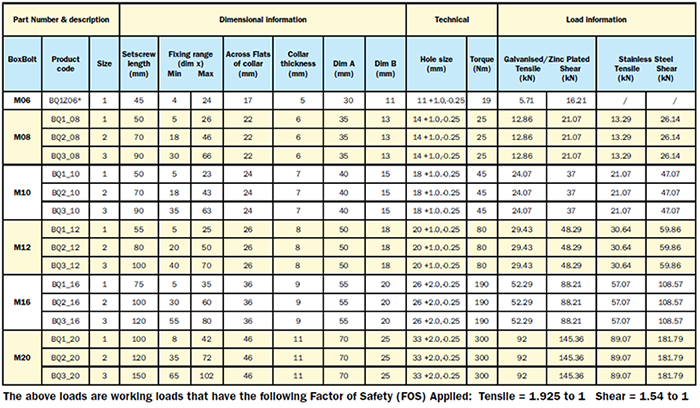 Dimensions are shown in the table below. 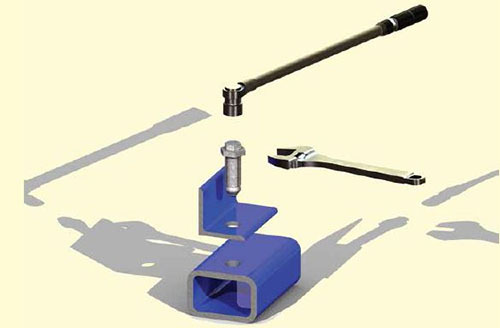 If a BoxBolt® connector is being used close to the edge of a section or in close proximity to another BoxBolt® connector, a minimum spacing is required to ensure that the wings are free to expand correctly. Align the holes in the bracket to be secured with the pre-drilled hole in the structural tube. Insert the BOXBOLT through both pieces of steel until the underside of the shoulder is flush with the outside of the steel. Hold the hexagon shoulder of the BoxBolt with an open ended wrench. Use an impact wrench or ratchet to tighten the core bolt. Remove the open ended wrench and check to ensure that the core bolt is tightened to the recommended torque.